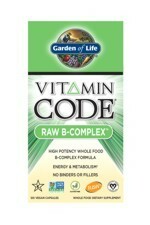 Bump up your energy support, metabolism and stress response with all 8 essential B vitamins in their natural forms! Research shows that B5 in particular may help support our adrenal glands, which are the tiny glands that secrete our stress hormone, cortisol. 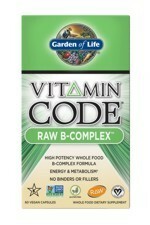 By providing such support, particular B vitamins such as B5, may help us adapt and cope with daily stressors! Vitamin B5 supports mental cognition, energy levels, healthy hormonal balance while vitamin B1 helps to support blood and heart health. Vitamin B2, contributes to a normal reduction in fatigue and tiredness whilst also protecting our cells from 'oxidative stress'. Oxidative stress occurs as a result of ‘free radical damage’ produced from lifestyle factors including stress, environmental pollutants, alcohol, cigarette smoke, poor diet and high levels of exercise. 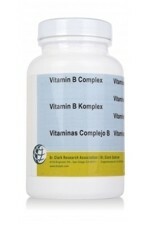 Each B vitamin contributes to individual and synergistic health benefits for overall health and wellbeing. 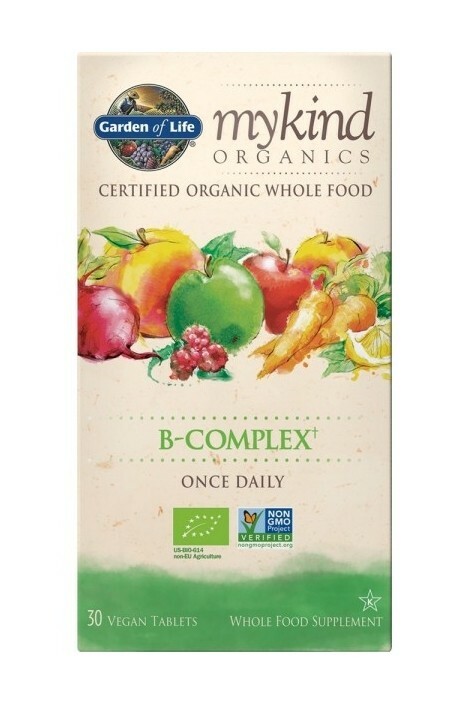 myKind Organics B-complex by Garden of Life is the only certified organic and Non-GMO Project Verified formula that is entirely free from artificial ingredients, preservatives or colours. 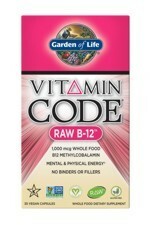 Garden of Life has carefully included folate, instead of folic acid, and a biologically active, natural form of B12 in the form of methylcobalamin obtained from a fermented yeast. Made with the Clean Tablet Technology without the use of standard binders and chemical fillers normally used for tablet manufacture, instead uniquely made using organic food ingredients. 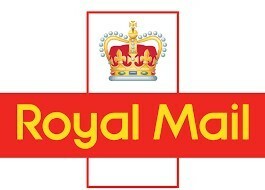 A range of multi and single vitamins/minerals, which are gender and age specific formulas delivering targeted nutrients. 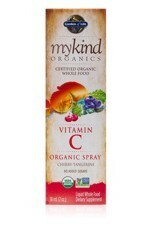 Certified USDA organic, certified organic to EU standards, Non-GMO Project Verified. 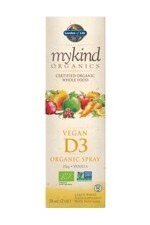 It is also independently certified as Vegan, Dairy and Gluten Free. 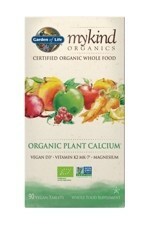 Garden of Life mykind Organics products are made from nothing but real, whole foods is incredibly difficult - which is likely why it had never been done before. For Garden of Life, it took years of innovation and patience. Their extended family of organic farmers provide the fresh fruits, vegetables and herbs that make up mykind Organics’ personalised, whole food formulas. Each tablet or spray provides clean, whole food perfect nutrition. In addition, mykind Organics is the first multivitamin to utilise Clean Tablet Technology, a patent-pending process that uses only organic, whole food ingredients. Adults take 1 tablet daily. Not intended for children. This 30 tablet bottle is a ONE-MONTH supply, providing 30 servings per container. Certified Organic Food Blend (786 mg) – of which: Thiamin (Vitamin B1) 5 mg (455% RDA); Riboflavin (Vitamin B2) 10 mg (714% RDA); Niacin 20 mg NE (125% RDA); Pantothenic acid 10 mg (167% RDA). Vitamin B6 10 mg (714% RDA); Folate 400 μg (200% RDA); Biotin 300 μg (600% RDA); Vitamin B12 (as Methylcobalamin from Saccharomyces cerevisiae) 133 μg (5320% RDA). Certified Organic Food Blend: Organic Guava (fruit and leaf), Organic Holy Basil (leaf); Organic Sesbania grandiflora (leaf); Organic Lemon (fruit and peel); Organic Apple (fruit), Organic Broccoli (stalk and flower), Organic Pea (seed); Organic Pomegranate (fruit); Organic Sweet Potato (tuber); Organic Kale (leaf); Organic Beet (root); Organic Carrot (root); Organic Spinach (leaf); Organic Tomato (fruit); Organic Green Bell Pepper (fruit); Organic Brussels Sprout (leaf); Organic Ginger (root); Organic Garlic (bulb); Organic Green Onion (bulb); Organic Parsley (leaf); Organic Cauliflower (flower & stem); Organic Strawberry (fruit); Organic Tart Cherry (fruit); Organic Red Cabbage (leaf); Organic Blackberry (fruit); Organic Cucumber (gourd); Organic Celery (stalk); Organic Asparagus (flower and stem); Organic Blueberry (fruit); Organic Raspberry (fruit). Other Ingredients in Clean Tablet Technology™ Blend (patent pending): Organic Dextrose, Stabiliser: Organic Gum Arabic, Organic Brown Rice (concentrate & extract), Organic Potato Starch, Organic Coating (Organic Tapioca Maltodextrin, Organic Sunflower Lecithin, Organic Palm Oil, Stabiliser: Organic Guar Gum).